[update] It should noted that as time progresses more and more, the things I mention in this post become less and less true, as more and more of the industry is modernized. There is a very little known fact today among aspiring authors. One that I myself didn't realize until just recently. The way that publishers count words in manuscripts is different from what we usually think of as word count and also from how word processors count words too. From the makers of the old classic, "You Don't Know Jack", comes three different party packs available on steam, now on sale by the way. 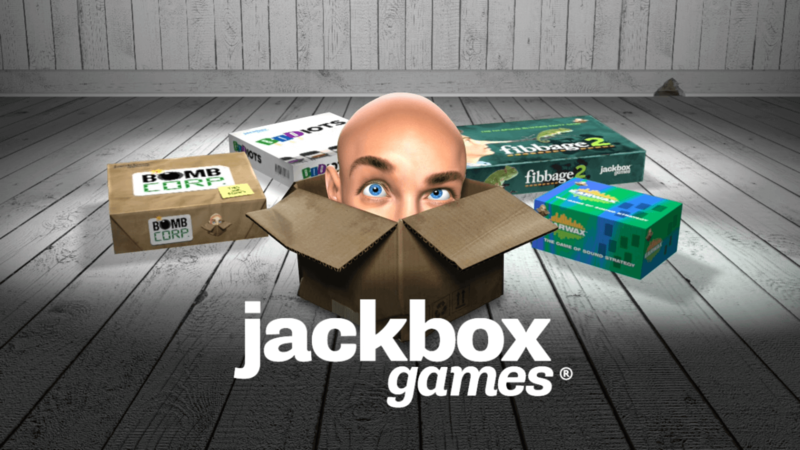 Each pack has a variety of party games that you load on a main screen, then each person plays it through use of their personal phone or tablet (or whatever else has a modern browser), by going to jackbox.tv and punching in a name and the code shown on the main screen. With these games, hilarity absolutely ensues. Alright, I admit that title is a bit click baity of me, but allow me to explain. I should first start with what I don't mean by such a title. I by no means believe it to be sin to make use of our God given gifts and talents. Of course, we should. But we should do so in His honor and glory. When it comes to creative pursuits, people commonly talk about following the Muse, which means that they are letting their creativity and imagination lead them wherever it takes them. The saying alludes to Greek Mythology. There were nine of these Muses, the Greek gods of inspiration for various fields of study. So am I denouncing the usage of a saying with Pagan roots? No, what I'm saying goes much deeper, to take caution in where our passions amorally lead. This is the great trap of those of us blessed with creative gifts, claiming to be righteous, often with justifications like, "So long as I keep it below a PG 13 level, I'm good". Wherever the so called Muse leads, may we ever scrutinize it with a discerning eye. At the LDSPPA conference for LDS publishing professionals, Brandon Mull, the author of the popular Fablehaven series, shared the experiences of his journey to his now successful writing career. There was so much I could relate to as though he were speaking directly to me. Part of what made it all so powerful was how vulnerable and personal he became with us. Like me, he's had an vibrant imagination throughout his life, going off into fantastical daydreams. It became his passion to want to share these things with others, starting him on the path to learn the writing craft, sufficiently to have the words on the page give justice to how he's imagining it in his head. The Extra Credits youtube channel made some interesting statements, regarding how we see the future that made the gears in my head start turning. They made the point that how society views the future at various times is a reflection of societal views of that time, whether it be an optimistic future, cyberpunk-esk future or what have you. It's hard to believe I never blogged about this before, but I guess to be fair, how to improve education is a complicated subject. (Actually, I have one post somewhat related: HabitRPG - A New Breakthrough in Productivity Systems?) The truth of the matter is education is broken. It is woefully inadequate in preparing a student for a successful career in the modern world. Keep the FantasyCon Magic Alive! Link below for the cause. Back in 2014, I felt the magic when I first walked in between two commanding statues, standing as sentinals, and with dramatic, epic music setting the tone. They wanted to set this con apart from others through providing this sense of transport. It was just as large of a production as Salt Lake Comic Con and Salt Lake FanX, but a bit more magical. They had a giant, animating dragon that blew steam from the nostrils, an animating rock giant, among other such creations made just for the con. There was just as much enthusiasm from fans with cosplay as with SLCC and FanX. They had a free archery range, a stage in the vendor area putting on various shows like magic shows, puppet shows, fire dancing, musical performances, etc. [Update] It's now more likely that I will seek a publisher instead of launching on kickstarter for the game. First, the board game. Before that, I should call your attention to the right side of screen where one can sign up to be notified of the kickstarter, when things finally get to that point. There Is No Try? Everything, Context Is! In previous blog posts, I've given my fair share of criticisms of the little green dude, stating arguments against the wise guy's platitude, "Do. Or do not. 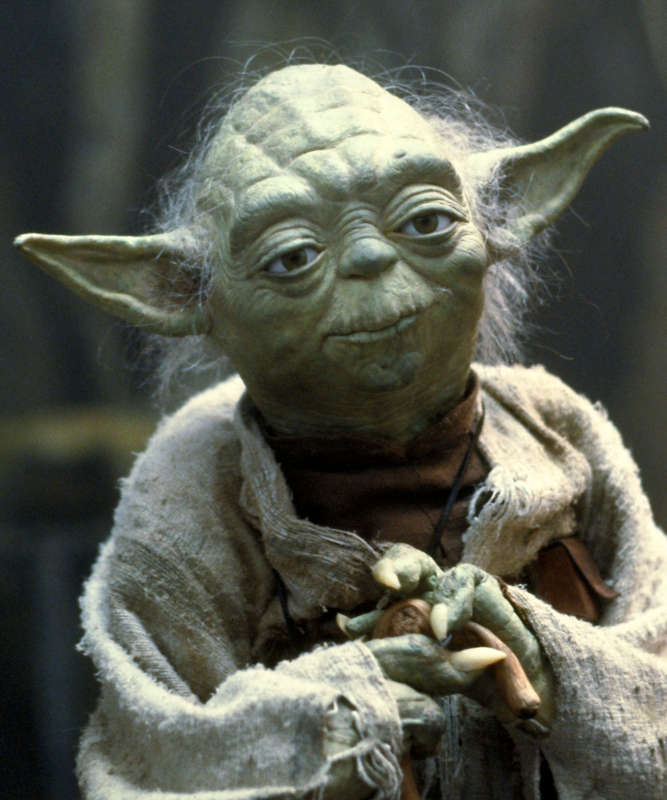 There is no try." However, things have occurred to me recently to suggest it's time to "unlearn what [I] have learned." If anyone is curious, here are the posts in question for the said criticisms: Scott Adams on Failure and Success and Regarding Success and Failure of New Year Resolutions. My Experience with "The Void - Beta"